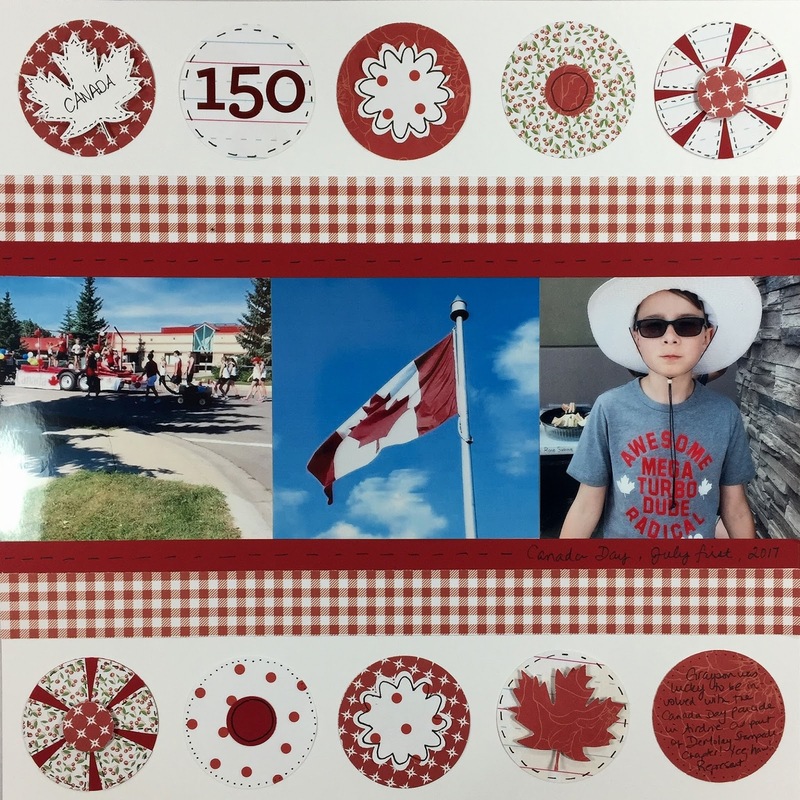 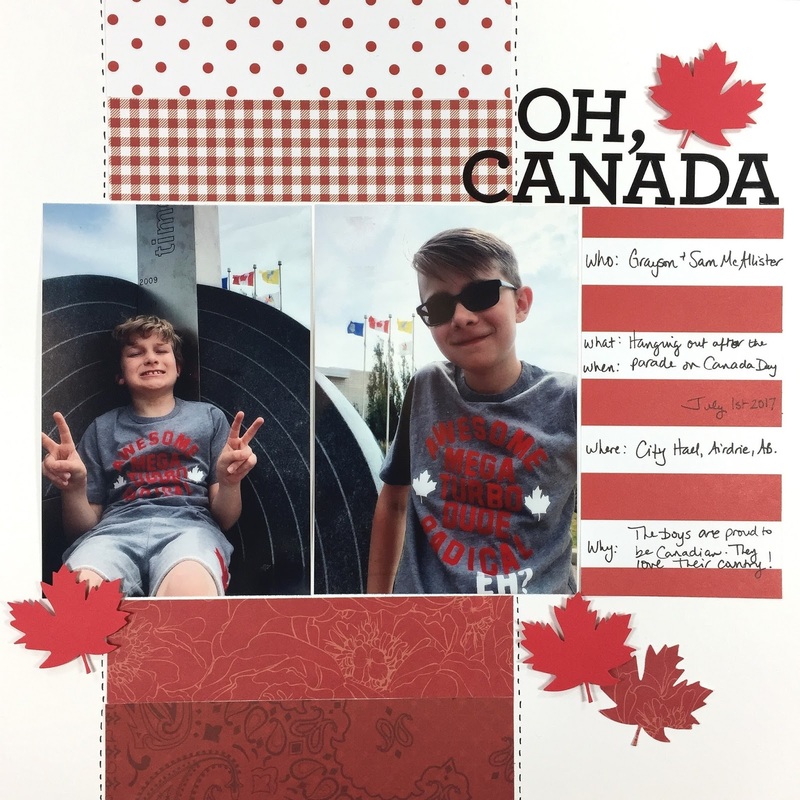 I hope you're having a great week and that you have been playing along with the first challenge of the Summer Scrapbook Series - using Red & White on a layout or project! 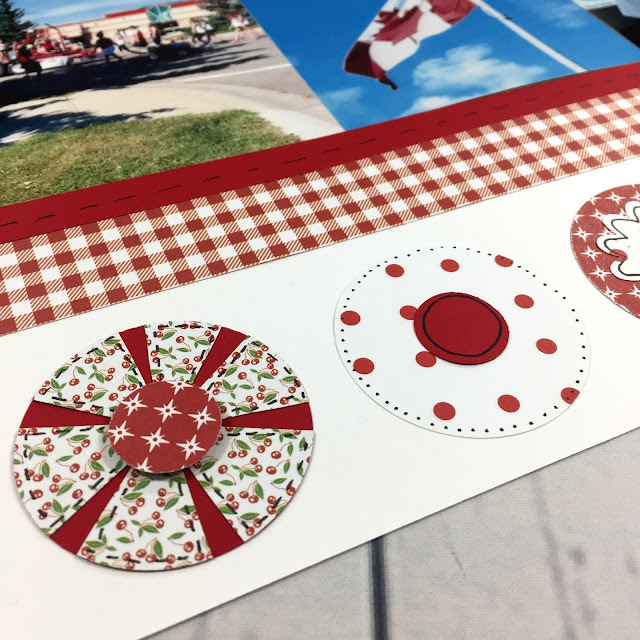 I thought this would be a great chance to share some ideas with you on how to use up some of your scraps or miscellaneous leftover pieces in your stash. 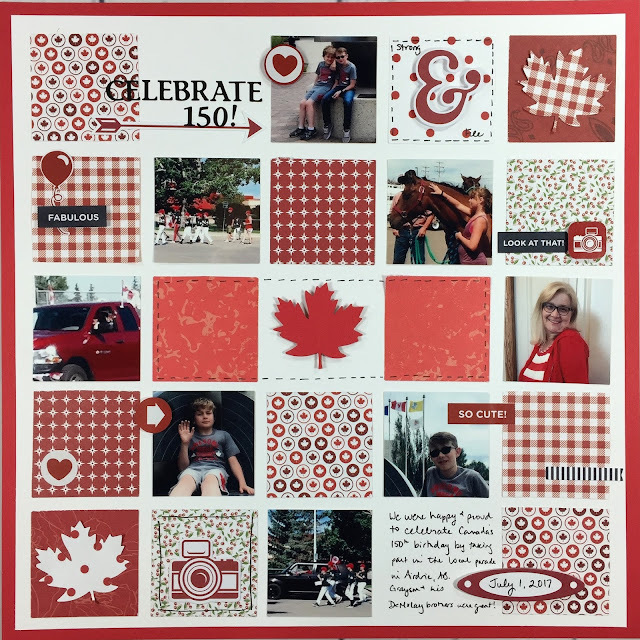 So, I created three layouts for you by selecting from and using up my own stash of red and white pieces, and then made a video sharing some of my ideas! In the video, I'll show you one layout that uses a bonus sketch I designed just for this week, and two layouts created with circle and square punches. 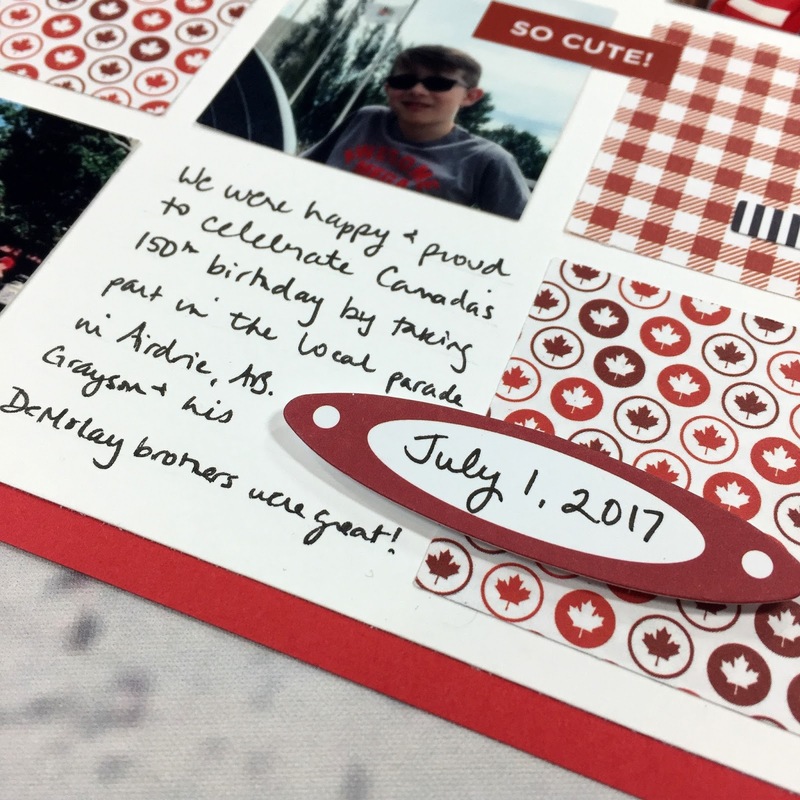 You can download the free printable with the sketch and measurements here, and then, sit back and watch me create all three layouts. I hope you get a few new ideas of how to mix patterns and use up your scraps! 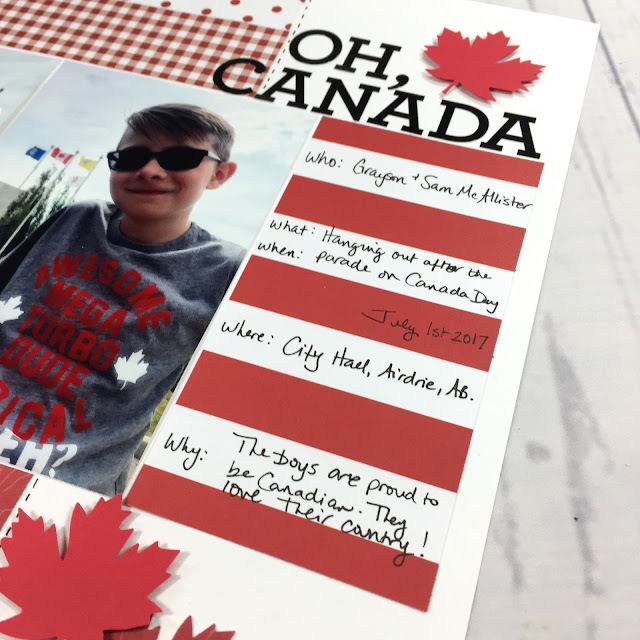 Make sure to grab your copy of the free sketch here, and post a photo of any projects or layouts you do on the OCM Facebook Page by Friday July 7 to be eligible for a Red & White Prize Pack!